A world-renowned eco-label trusted by millions around the globe, the Blue Flag programme is operated under the Foundation for Environmental Education and is headquartered in Copenhagen, Denmark. In order to qualify for this prestigious award, a series of stringent environmental, educational, safety-related and access-related criteria must be met and maintained. There are currently 4454 Blue flags flying in 45 countries around the world providing visitors and local visitors alike that sustainability is a top priority on a global scale. In Northern Ireland there are currently nine Blue Flag beaches and two Blue Flag marinas. 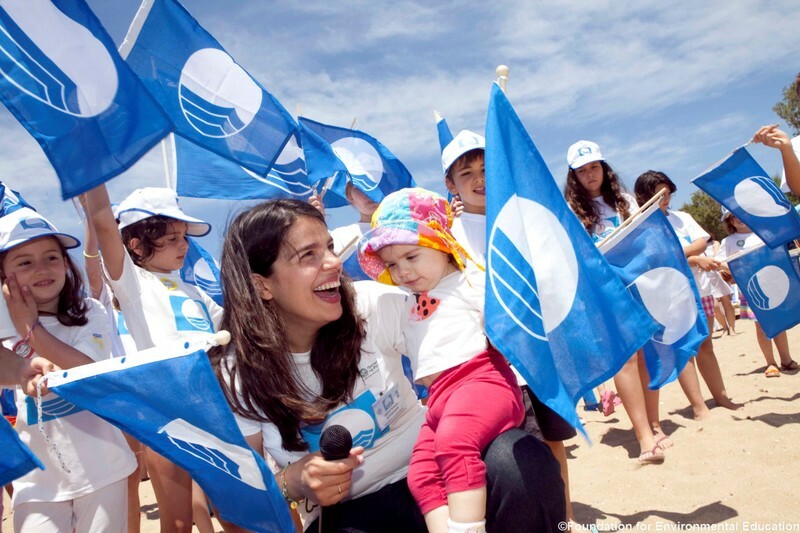 The Blue Flag applies only during the current bathing season, from the start of June until mid-September, but individual Beach Operators may decide to fly their flags during a shorter season. Blue Flags must be renewed annually, and they can only be awarded to beaches which have been shown to have excellent water quality consistently throughout the previous four bathing seasons. The water quality on all of our Blue Flag beaches is measured by the Department of Agriculture, Environment and Rural Affairs between May and September. The concept of the Blue Flag was born in France. In 1985, French coastal municipalities were awarded with the Blue Flag for complying with sewage treatment and bathing water quality criteria. Since then the Blue flag has evolved to raise environmental awareness and increase good environmental practice amongst tourists, local communities and beach and marina operators. With its emphasis on improving environmental impacts, Blue Flags can now be awarded to marinas and even individual boats. In 2017 the Blue Flag programme was an official supporter of the UNWTO International Year of Sustainable Tourism for Development. "Approaches to beach management have evolved in recent years as expectations amongst beach users rise and the range of activities on our beaches continues to diversify. The Blue Flag award helps to set a benchmark for standards in beach management, especially during peak season. It very much keeps us on our toes with raising public awareness about a range of beach issues and not just bathing water quality. Having an international award helps to highlight the quality of our beaches". Richard Gillen, Coast and Countryside Officer, Causeway Coast and Glens Borough Council. You can download a copy of the criteria which must be met to gain the Awards. For further information on Blue Flag or any of our other beach awards, please contact Jade Berman at Jade.Berman@keepnorthernirelandbeautiful.org.